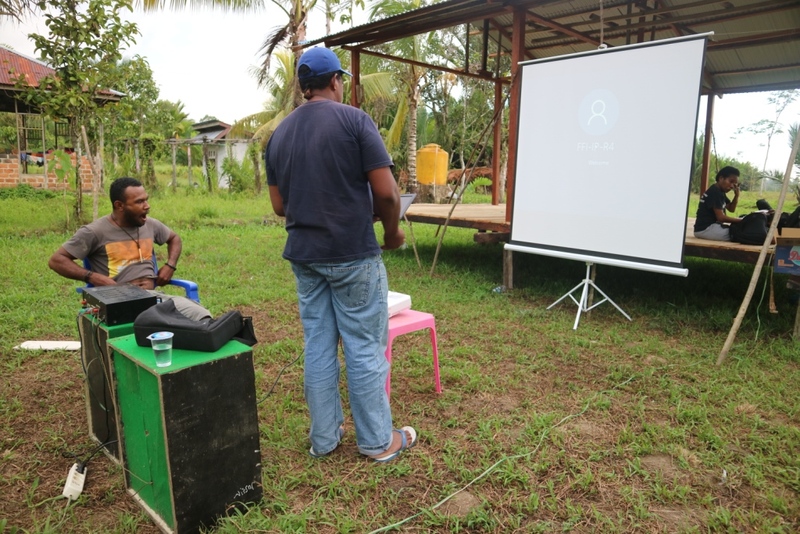 As a follow up for Festival Film Papua, Papuan Voices Communities in several locations continued to hold screenings of some of the best films at the main festival for wider outreach. 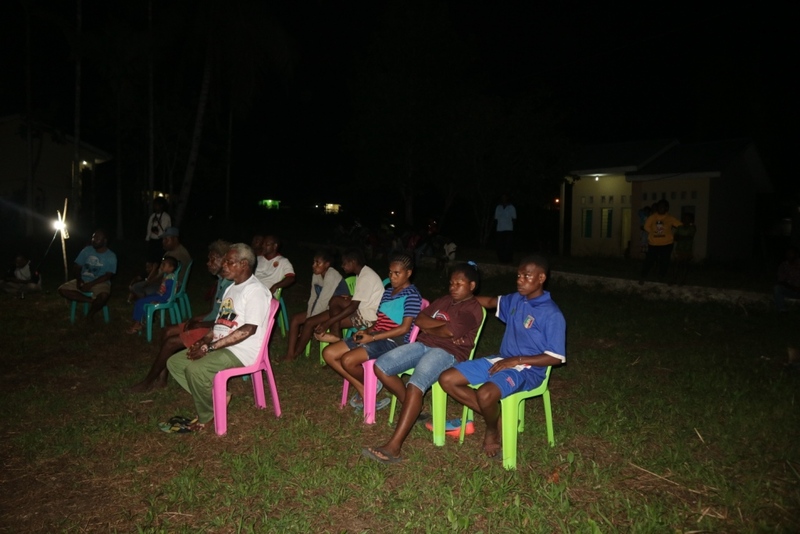 On 2nd March 2018, members of Papuan Voices in Sorong Regency, West Papua conducted its mini screening in Wen Village, Mayamuk district, Sorong, about 50 kilometers outside Sorong city. They partnered with Belantara Papua, an NGO in Sorong to arrange the event. The journey to the remote location of the screening was difficult. 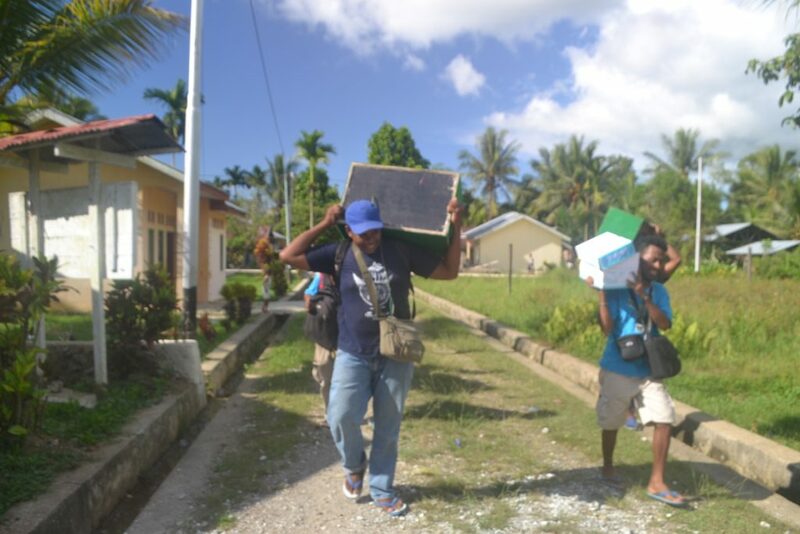 The Papuan Voices team needed to walk several hours and cross several rivers to reach the location because there were no proper roads. They even had to carry all the screening equipment and a generator as there is no electricity available in that area. The team wanted to show the films in this village as there have been many evictions and land grabbing conflicts in this area. The venue was in south part of Sorong area where the indigenous tribe Moi lives. The Mois have been living there for generations, but they are losing their lands because of deforestation and encroachment by palm oil companies. 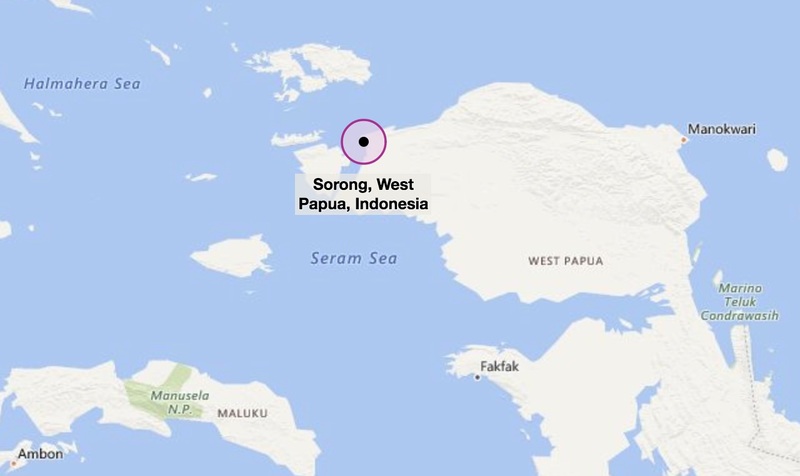 PT Intimpura, an Indonesian logging company has been granted an enormous 339,000-hectare logging concession without consulting locals in the heart of the Moi ancestral lands. Companies like Kayu Lapis Indonesia Group (KLI) paid Moi landowners only US$0.65 per hectare. This is how Moi lands are being taken. The film screening event started from 5 PM up until late at night and it was inaugurated by a representative of the village youth. Thois Wanma, a member of Papuan Voices Sorong, explained to the audience about the Papuan Voices Community and their mission. 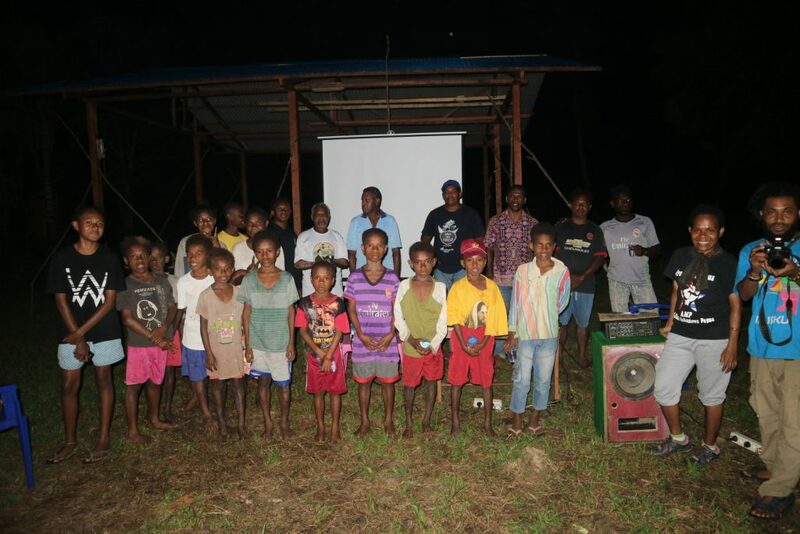 About 10 videos produced by Papuan Voices were screened. A discussion after the screening was facilitated by Markus Wafum, a local youth leader. On that night about 100 villagers from Wen village including the village head came to watch the movies. They were fascinated by the Papuan Voices video collection, especially the movies Mama Mariode, and Truk Monce. Some of them said that they learnt many things about Papua from just these videos, especially the land grab issue.